I currently live in Helena, AL. My fiancè and I have a dog, a Black Lab/American Bulldog mix named Fisher. I was raised loving sports, and I'm a big fan of the Nashville Predators, Chicago Cubs, and Auburn Tigers. I love going to Birmingham Barons' games, and I couldn't be more excited about the Birmingham Bulls returning. I'm a big foodie, and current food truck chaser. I love to travel, and would be a permanent beach resident if I could. I've grown to really love fitness, and nothing beats the satisfaction of a really awesome workout. I am a Christian and attend Church of the Highlands. 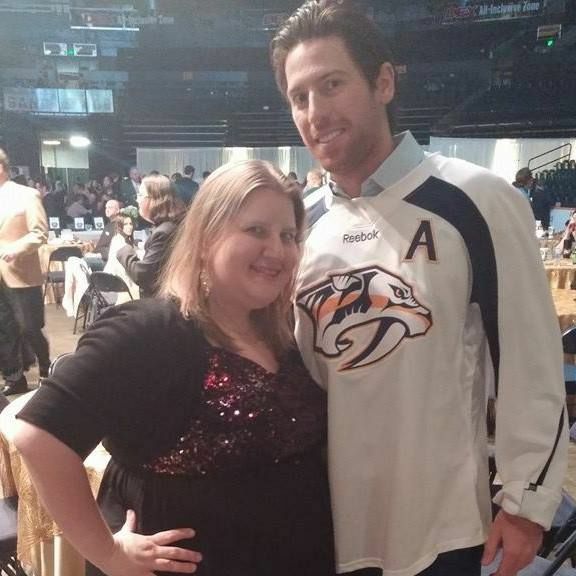 That's me with former Nashville Predators right winger, James Neal. Awesome guy!